Home » Frequently Asked Questions » How will the seeds be shipped? How will the seeds be shipped? Tough packaging, anonymous shipping. Buy your seeds safely from the market leader. 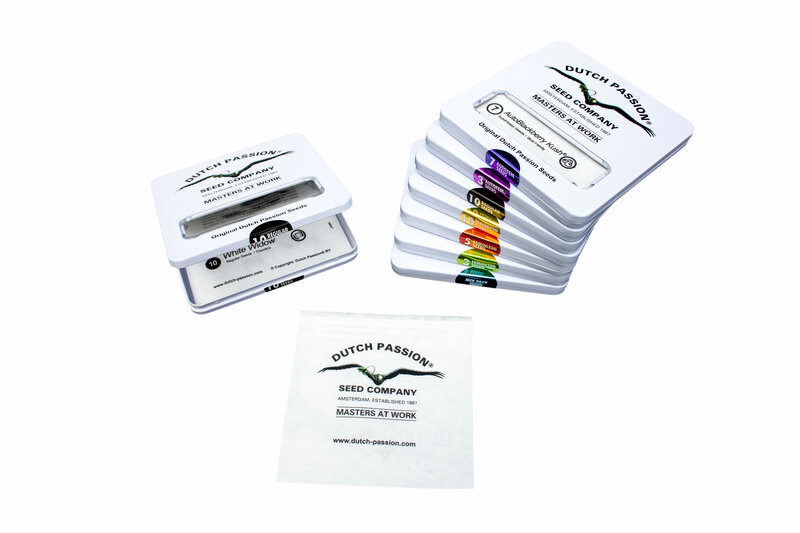 Dutch Passion seeds are shipped in a small metal tin measuring 90mm x 87mm. The tins are just 7mm thick and extremely tough, they are resistant to crush damage and will keep your seeds safe. Inside is a humidity proof, rip-resistant plasticised seed pack. The total weight is 43g. The seed packet is very difficult to tear open, scissors are the best way to open it. The polymer seed packet protects the seeds from external moisture, this allows the seeds to retain the optimized moisture levels set by Dutch Passion when the seeds were packed. More information and pictures about the Dutch Passion packaging is here.